In 2014 there was an extensive need to work together in an open environment on Campus Groningen. With a pilot we wanted to create the optimal environment for entrepreneurs to succeed in the LifeSciences field. 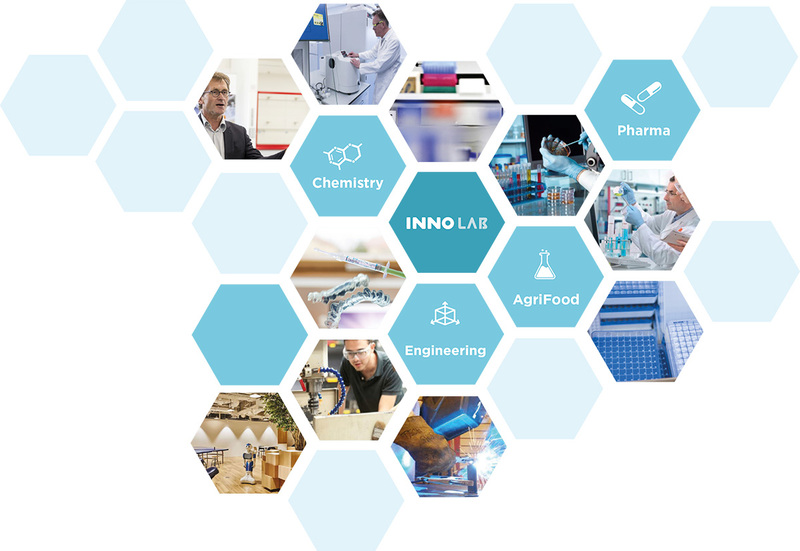 Our solution was to create, together with one of our leading companies in this field, an open innovation lab in the Chemistry field; Innolab Chemistry was born. An ‘Innolab’ that would be as easy to join; a place that gives entrepreneurs everything they needed to succeed when it comes to innovation and R&D. In short: we lowered their costs, removed hurdles and provided support and access to a warm knowledge intensive network of companies ánd institutes. Was there a demand? Was it appreciated? From day one we were fully booked. Of course, as part of the broader expertise on Campus Groningen, we were asked to offer a broader array of programming, expertise, advice and other facilities to answer the questions from the market. Companies from different sectors are knocking on our door to settle in a same kind of Innolab. Amongst others; pharma, microbiology, materials, engineering, product creation and health sectors. Our approach and mindset is still the same as it was in 2014. We want to enable, empower and inspire new innovators so they can deliver much-needed solutions to people all over the world. We recently started to copy our INNOLAB formula to other industries and we want to invite you to come and join.